Happy Thanksgiving! 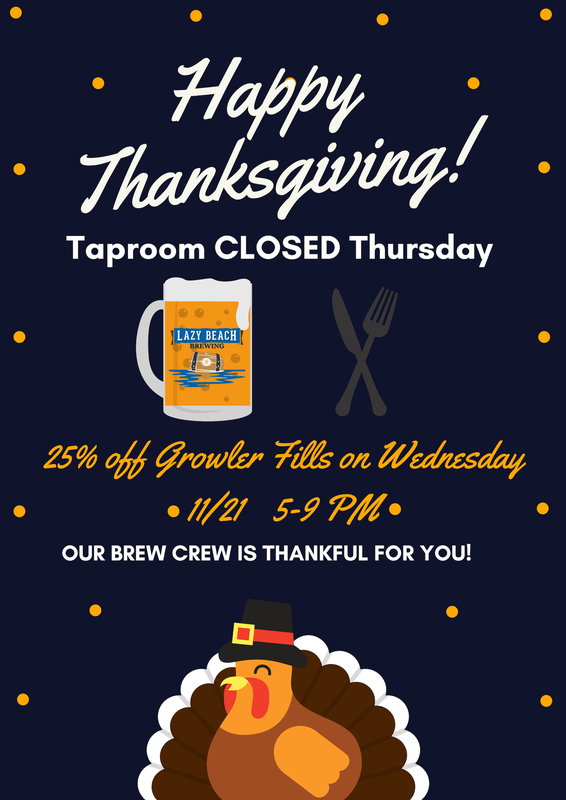 Our taproom will be closed on Thursday so our brew crew can spend time with their loved ones. 25% off Growler Fills on Wednesday night. Discounted beer & extended hours for Black Friday! !